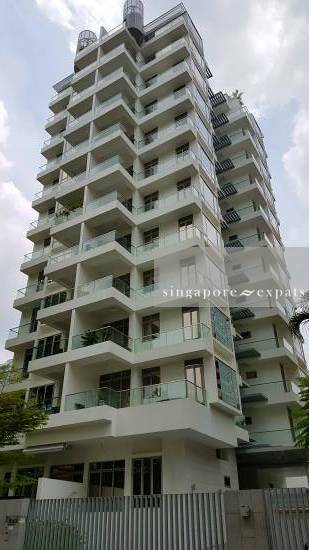 LIBERTE is located at 5 SARKIES ROAD in district 10 (Bukit Timah, Grange, Holland) of Singapore. LIBERTE is a Freehold Condo development consisting of 46 units. LIBERTE is completed / TOP in 2015 (estimated), developed by ELLAMOUNT INVESTMENTS PTE LTD.
Educational institutions like ST JOSEPH INSTITUTIONAL INTERNATIONAL, SAN YU ADVENTIST SCHOOL, CHINESE INTERNATIONAL SCHOOL, ANGLO-CHINESE SCHOOL (PRIMARY), ANGLO-CHINESE SCHOOL (JUNIOR) and SINGAPORE CHINESE GIRLS' PRIMARY SCHOOL are near to LIBERTE. LIBERTE is accessible via nearby NEWTON, NOVENA and ORCHARD MRT Stations. Living in Liberte provides you the best there is to expat living. Newton Circus food center to satisfy your food cravings, MRT at your door step, location is near Raffles Girls, ACS. Just a 5 min drive to downtown Singapore.